Cooking with an herb sachet, or bouquet garni, adds a subtle hint of fresh flavor to any recipe, without leaving fragments of leaves behind. Generally you’ll want to use fresh herbs for a sachet, although you can use dried herb leaves -- not ground dried herbs -- as an alternative. All you need is a little cheesecloth and cooking twine to get your sachet started. Trim a piece of cheesecloth large enough to fit a small handful of herbs. Pull it apart and leave it open on your counter while you prepare everything else. Cut a piece of twine that’s long enough to tie the sachet together on one end and then tie to the handle of the pot on the other end. The sachet should be able to float around freely as it’s tied to the handle. 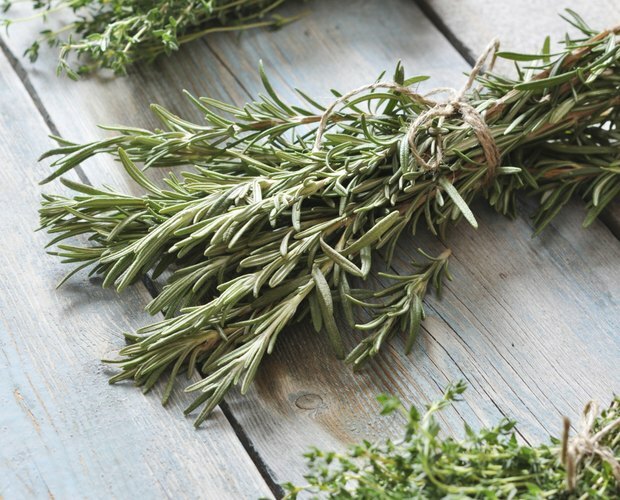 Select the herbs you want to season your dish with. 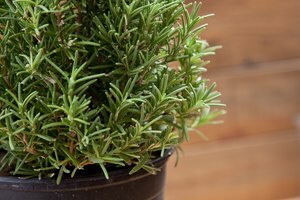 It’s traditional to use several sprigs of thyme, a few pieces of parsley and a bay leaf. However, use any herbs that complement your recipe. For beef, fill your sachet with sage, thyme and a bay leaf. 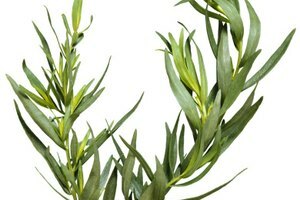 Use rosemary and mint sprigs for lamb entrees. Sage and oregano are ideal for pork; while marjoram, oregano and a bay leaf blend perfectly with veal. Poultry is best infused with a sachet containing two or more of the following herbs: marjoram, oregano, sage, rosemary, thyme or tarragon. For fish entrees, make a sachet with fresh dill or marjoram. Plenty of spices work in cooking herb sachets too. But you have to use whole spices. Cloves are a versatile spice that mesh with savory recipes, as well as broths for sweeter dishes, like pumpkin or sweet potato soups. Cardamom or nutmeg are both equally as flavorful for sweeter entrees. For beef, pork, veal or another meat dish, add coriander to the mix. 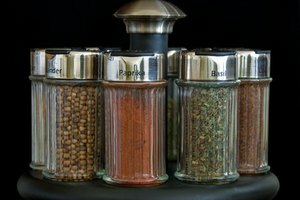 Peppercorns are beneficial for fish or poultry meals. A little goes a long way when it comes to spices. You only need a few pieces of whole spice. Too many can become overpowering quickly. Lay the herbs along one long side of the cheesecloth. You don’t have to cut them, although you might need to tear longer sprigs in half. Add any spices to the pile. Fold the cheesecloth in half, covering the stack of herbs and spices, to form your sachet. Tie the packet together, making sure you don’t have any open gaps at the top where things can float out. Add the sachet to your cooking pot after all the other ingredients are in, and tie the end of the string to the handle. Routinely check the flavor of your dish. If the sachet is left in too long, you might lose some of the flavor from fresh herbs. Remove the bag at the end of the cooking process. Don’t stress if you ran out of cheesecloth -- making a bouquet garni is still possible. Use a leek or a piece of celery to combine everything. Neatly stack the sprigs of herbs alongside the base of the leek, or in the basin of one end of the celery stalk. Tie the bunch with cooking twine. Use a few cloves as pushpins along the leek or celery stalk to hold everything in place. Drop the bouquet into the pot and tie the other end of the string to the handle. 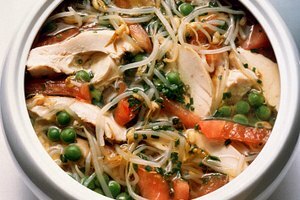 What Herbs Can Be Used in Chicken Soup?